FABULOUS LARGER LOT and LOCATION with two road frontages (23rd and 24th Av). 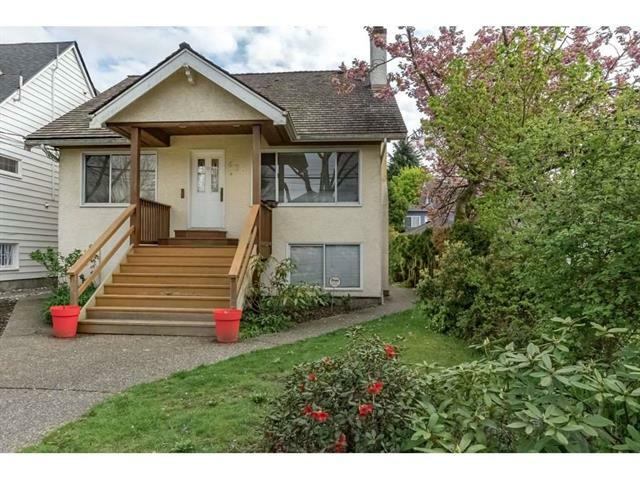 Just 3 minute walk to Cambie Station (skytrain). Well maintained family home with a legal basement suite in sought after community near parks, schools, and restaurants. Hardwood floors on main level. Large open kitchen for entertaining. Large rear sunroom/entrance and two skylights upstairs provide lots of light. Main level has additional flex room (or 4th bedroom). Heat exchanger supplies heat/air conditioning with newer high efficiency furnace. Sprinkler system for added safety. Nice outdoor space. Basement suite has separate entrance and large windows. Can be rented as one or two bedroom. COME SEE!